So the .exe is basically a custom automation wrapper. But what is it automating? Well in amongst those options is “/ExtractCab” – what does that give us? Well that lot looks like some internationalisation settings, custom code for capturing data, some UI control theme data – and an MSI file. That’s positive. MSI files are data for Microsoft’s transactional install system – they contain information about what to do during an installation – what files to deploy, and what custom steps to perform. And they explicitly support silent installations. But to get that to work you have to discover the “magic” values that the custom UI (our .exe file) are passing in to specify things like “where should the files be installed to?”. The “/i” parameter specifies the path to the MSI file you want installed. The next three control some of the behaviour of the MSI installer. 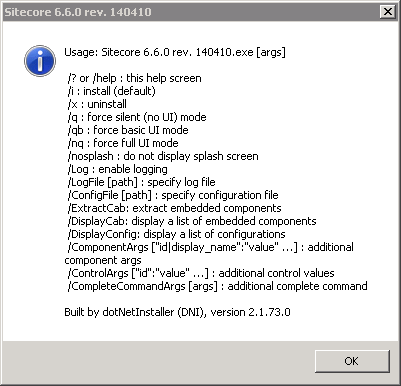 All the ones starting with “SC_” or “SITECORE_” are the Sitecore install parameters. “INSTALLLOCATION” specifies the root path for the new instance. And finally the “/l*+v” parameter enables verbose logging. Note that the “/i” and “/l” parameters require an absolute path. There’s just one other parameter you need to add to make this work. 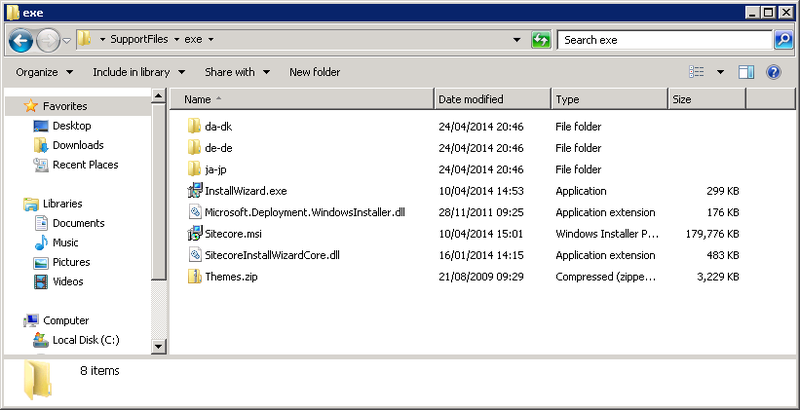 To perform a proper unattended install of Sitecore you need the MSI to show no UI when it runs. For that you just have to add one extra parameter to this command line: “/qn” which tells msiexec.exe to hide any UI. So now it’s a relatively simple tasks to write yourself a batch file, PowerShell script, or whatever other sort of install process you want. In theory you should be able to pass the parameters we discovered above via the command line of the .exe installer. However I’ve yet to get this to work correctly. So instead you can write your script to extract the contents of the .exe file from Sitecore, and then pass your preferred values into the parameters described above for msiexec.exe. 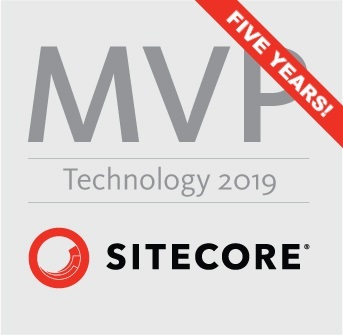 Run that, and bingo – you’ve got yourself a new instance of Sitecore without any tedious clicking on installer buttons. And it should be as secure as if you installed it with all the clicking. "msiexec.exe" /qn /i "%cd%\SupportFiles\exe\Sitecore.msi" TRANSFORMS=":InstanceId5;:ComponentGUIDTransform5.mst" MSINEWINSTANCE=1 LOGVERBOSE=1 SC_LANG="en-US" SC_FULL="1" SC_INSTANCENAME="silent" SC_LICENSE_PATH="C:\Software\PartnerLicense-2013.xml" SC_SQL_SERVER_USER="sa" SC_SQL_SERVER="localhost" SC_SQL_SERVER_PASSWORD="p@55w0rd" SC_DBPREFIX="silent_" SC_PREFIX_PHYSICAL_FILES="1" SC_SQL_SERVER_CONFIG_USER="sa" SC_SQL_SERVER_CONFIG_PASSWORD="p@55w0rd" SC_DBTYPE="MSSQL" INSTALLLOCATION="C:\Inetpub\wwwroot\silent" SC_DATA_FOLDER="C:\Inetpub\wwwroot\silent\Data" SC_DB_FOLDER="C:\Inetpub\wwwroot\silent\Database" SC_MDF_FOLDER="C:\Inetpub\wwwroot\silent\Database\MDF" SC_LDF_FOLDER="C:\Inetpub\wwwroot\silent\Database\LDF" SC_NET_VERSION="4" SITECORE_MVC="1" SC_INTEGRATED_PIPELINE_MODE="1" SC_IISSITE_NAME="Silent" SC_IISAPPPOOL_NAME="SilentAppPool" SC_IISSITE_HEADER="silent" SC_IISSITE_PORT="80" SC_IISSITE_ID="13" /l*+v "%cd%\SilentInstall.log"
It extracts the MSI, installs it with the parameters discussed, and then removes the temporary files it created. Firstly, new releases of Sitecore may change the set of parameters above – so you may need to repeat the discovery process here for newer versions. I’ve not exhaustively tested this – it may not work correctly if some pre-requisites of Sitecore are missing. I’ve not worked out exactly what the SC_IISSITE_ID property above does – it’s possible the value for this is important in ways I don’t currently understand. So take care if you try to repeat this experiment. When runinng the paramaters with with a bat file, it extracts the cab and shows the Windows Installer parameter window but doesn’t install anything. What might be the problem ? If it’s showing some UI then there’s something wrong with the batch file you’re running, I’d guess. The example batch file is supposed to perform a silent installation – so it should show no UI at all. It’s not quite clear to me what UI you are seeing. 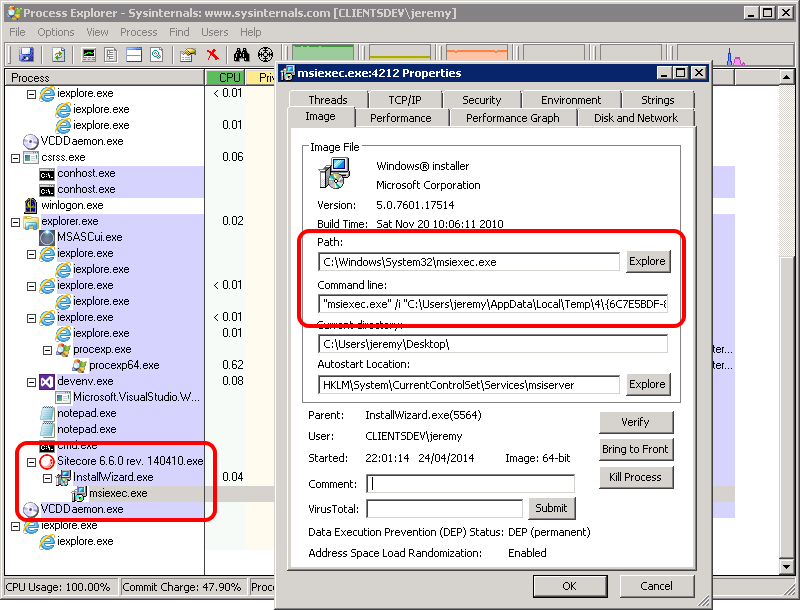 When you say the “Windows Installer parameter window”, do you mean the first image in the post above, or do you mean the UI where the installer asks what instance name / database connection to use? If it’s the first image above, then my guess would be that the error is in the line of the batch file that’s supposed to extract the cab file, and it’s continuing on to show its normal UI. If it’s the bit of UI that asks about database connections and instance names, then my guess would be that there’s something not quite right about the line that calls msiexec.exe. That could be one of a number of things, but the first things I’d look at would be whether you have an unmatched quote mark, or a relative path where it should be absolute perhaps.